Be the first to share your favorite memory, photo or story of Grethel. This memorial page is dedicated for family, friends and future generations to celebrate the life of their loved one. 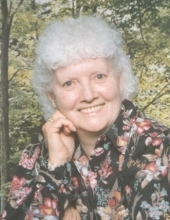 Grethel Owens, age 92, of Louisville, KY died Thursday, November 15, 2018 in Louisville, KY.
Funeral services for Grethel Owens will be held 1 PM Tuesday, November 20, 2018 at the Hindman Funeral Services Chapel with Ricky Smith officiating. Burial will follow in the Mountain Memory Gardens at Hindman, KY. Friends may call for visitation 10 AM – 1 PM Tuesday. "Email Address" would like to share the life celebration of Grethel Owens. Click on the "link" to go to share a favorite memory or leave a condolence message for the family.